With what may be seen as curious timing, Google‘s just revealed that soon it’ll be selling digital books through its own Google Editions store. The search giant is obviously keen to not let Apple and Amazon dominate an industry it hasn’t also wrapped a tentacle around. Google’s been mulling this sort of move for over a year, and it ties in with its Google Books effort to try to reinvent publishing as a cloud-based marketplace. Speaking at the Book Industry Study Group (which explains the timing, even though it clashes with the iPad frenzy), Google’s manager for strategic partner development, Chris Palma, let slip that Editions will open its doors in late June or July, and it’ll let users buy copies of books they discover through Google’s book search system. It’ll also let publishers sell digital books via Editions, with a similar revenue sharing system to Amazon and Apple’s e-book stores–though we don’t know if Google will try to tweak the percentages to make it more attractive than these other two huge players in the market. 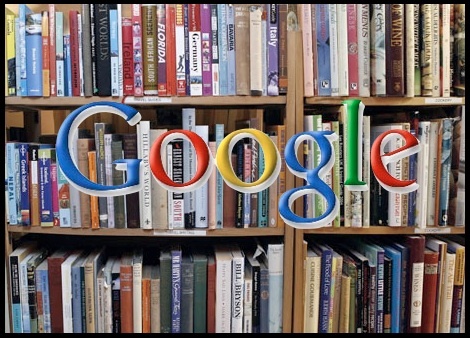 Hence Google will be selling e-copies of digital and backlisted texts, and writing about the matter the Wall Street Journal notes that Google will try to distinguish itself in this marketspace by making its wares available on multiple devices. That implies some sort of Web-based cloud e-book reader, or possibly Google apps with cross-compatibility and data sharing for bookmarks (the sort of trick Google excels at) available for multiple platforms. Curiously, the WSJ has forgotten the fact that Amazon’s Kindle ecosystem already does this–you can buy a book from the Amazon e-book store and read it on your Kindle, your iPad, iPhone or Mac or PC. Even Apple’s books will be readable on both its iBooks iPad app and one for the iPhone. And this is important because despite Google’s weight and ability to throw huge sums of money at this venture to get it to work, Amazon is the incumbent reigning champion of e-publishing, and Apple’s desperately working at the succession with its high-glamor, high-selling iPad. Google has no dedicated hardware ecosystem in place to support Editions, unless you count the diverse and fragmented Android OS on numerous different smartphones, and some upcoming tablet PCs too–with such an ephemeral hardware base, it may be difficult for Google to steal big sections of this market.